Tabletop RPG’s are strange beasts- they immerse you into new worlds, some very different, others quite similar to our own. They let you explore possibilities that would be unimaginable in our daily lives… and safely confront and embrace events all too close to those same lives. And in each one of them, we choose a character- an avatar, a representation of ourselves within the game that allows us to take part in the stories and sagas we all build together around the gaming table (virtual or otherwise). As players and game masters, our characters are the way we interface with the world within the game, and we often build them with care, giving them the skills and abilities we want them to have, taking away the ones we don’t, and, more often than not, sprinkling a few extra complications on top of them because we love to torture them, don’t we? 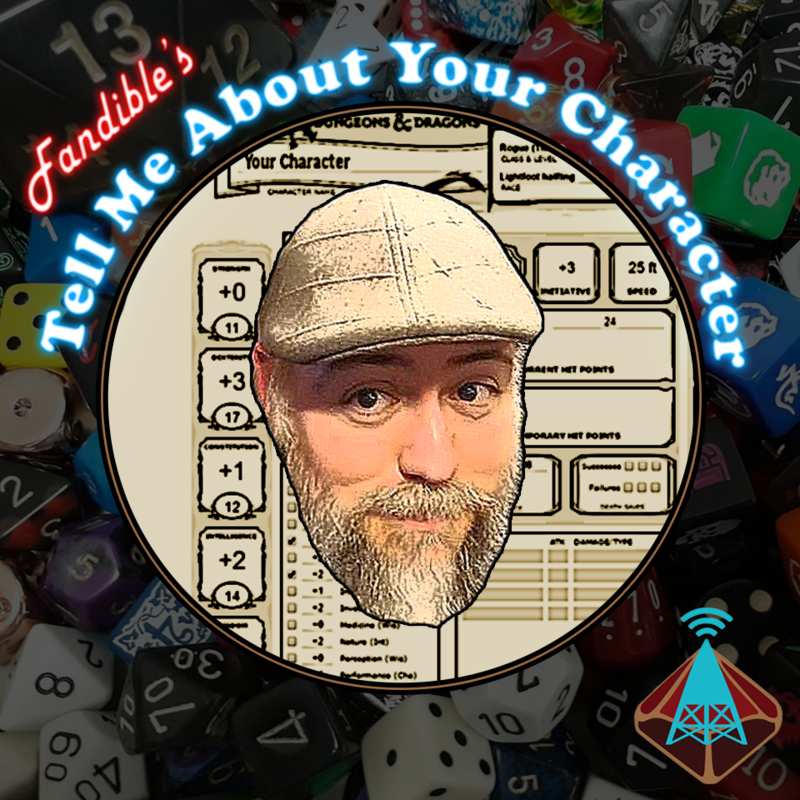 This is why I’m incredibly pleased and excited to announce the launch of our new show on Fandible: Tell Me About Your Character! We’ll be chatting with all manner of folks from the tabletop RPG community: actual-play podcasters, creators, and players just like you! On the show, we’ll be chatting about their favorite and most memorable characters, the worlds they inhabit, and the adventures they’ve had. We’ll delve into the motivations behind each character, the lessons we’ve learned from them, and how they, and us, grow as we adventure together. And, most of all, we’ll get to geek out and gush over those gaming moments with our characters that will stick around in our memories forever. We’ve already got an amazing lineup of guests for our first few episodes, including Michael from the RPG Academy, John from Legends of Tabletop, the inimitable Darcy Ross from Monte Cook Games, our friends Megan and Aser from the Redacted Files Podcast, and Jeff Stormer from Party of One. We’ll be talking dwarves and half-orcs, spaceships and pirate ships. We’ll be delving into in-character romance, exploring representation, and, of course, recounting moments of ultimate badassery- or poignant tragedy. And that’s just the beginning! We have many more guests who will be joining us, and characters spanning the range from fantasy to sci-fi and everything in between. So join us the first week of February for our inaugural episode of Tell Me About Your Character, and keep an eye out every 2 weeks from then on as we release new episodes, and meet new characters! And if you’re as excited as we are, please, tell your friends, your family, your neighbors, and, most importantly, your neighbor’s dog, and join us around the table. We’re eager to get to know all your amazing characters! I am look forward to this.